There is no doubt that Sylvie adores Little Amanda (Alexis Weil) as she spends time with her and they prepare for Amanda’s bath, but who is Sylvie? Is she an ex wife, a babysitter or Amanda’s mother? Sylvie discovers what appears to be bruises on Amanda and she attempts to get answers from the two year old. What happens that evening is never clear. Ten years later Sylvie is a changed woman and is dealing with life altering events and a nemesis, Mr. James (Juergen Jones) … but is Sylvie’s reality one of her making or one of circumstance? 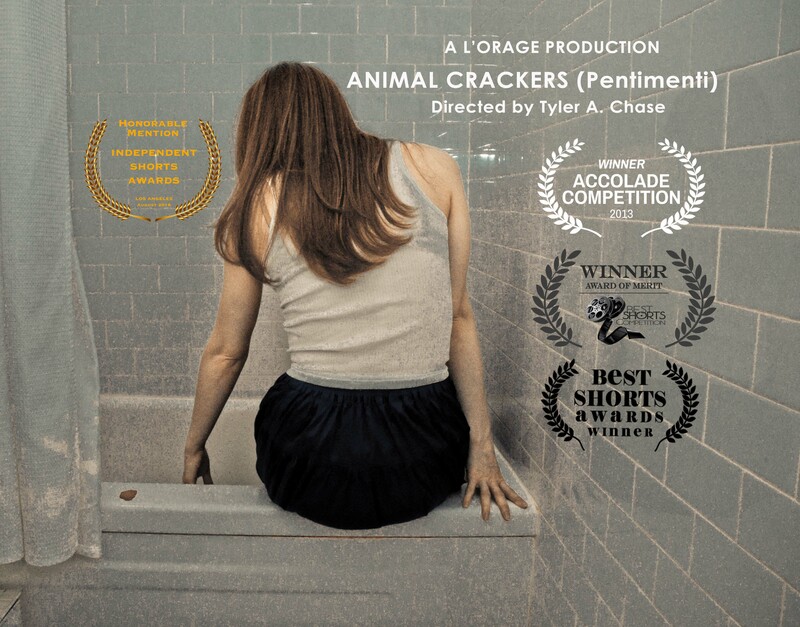 ANIMAL CRACKERS (Pentimenti) is a mind bending drama with many layers, delving deep into the complex psyche of Sylvie with a tour de force performance. Music from the film, Animal Crackers (Pentimenti): Animal Crackers La La La ©by Phyllis Novin and Richie Naef, Lyrics by Tyler A. Chase.